One of the easiest ways to get started with affiliate marketing so you can make more passive income in your business through Amazon affiliate program. Building your Amazon affiliate site is just one step, through. The challenge is attracting the right traffic that will convert into product sale once they click through the Amazon. Most people think that they need a website to make money with Amazon affiliate marketing. But that simply is not true, In fact , By using a strategy called parasite SEO, It is probably easier to do affiliate marketing without a website that with one. Building a brand/authority in a niche: If you choose a low competition niche, it is relatively easy to become and authority in the eyes of Google and your readers. Understanding the subject matter: Once you understand the subject matter, it should be relatively easy to write more about that particular topic and become somewhat of an expert. What Makes up a Good Niche? Is there a lot of competition in the niche? There are some niches, like weight loss or recipes, that we do not recommend for anyone. The best way to check a particular niche’s competition is to look at what the search results show when you search for long-tail keywords. Are there several large brands that specialize in the niche, or do the results mainly consist of small affiliate sites and forms? If it is the latter, this is a good sign. Is the niche product focused? By product focused, we mean are people in your niche often required to purchase lots of equipment in order to do the task. A hobby like mountain climbing is a great examples of this. What is the average ticket price of the items in that niche, and what payout category do they fall under? 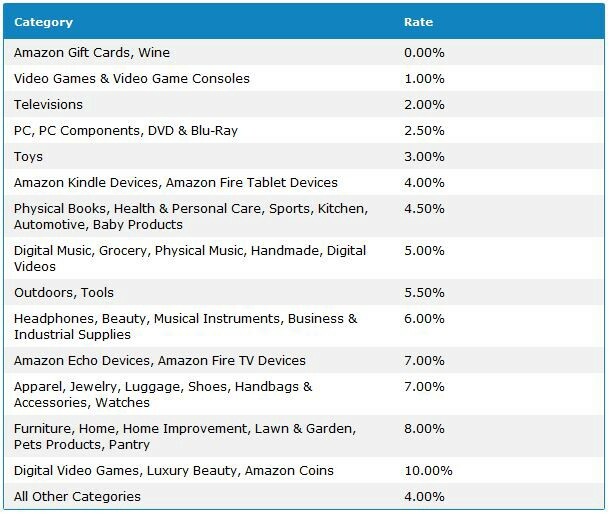 As you can see in the table below, the Amazon Associates program has varying payout percentages based off of what category a particular item falls under. We suggest that you try to go for product categories that payout at least 4% or higher, and have an average ticket price of around $60-$600. 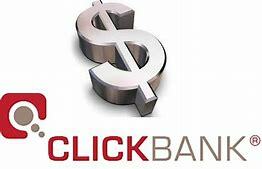 Promoting low ticket products can often generate more conversions, but it will be hard to earn a substantial amount of income with the current payouts Amazon offers. Promoting products that are high ticket has the opposite problem, with too low of a conversion rate, thus why we like to target in-between. Is there a lot of searches for “how to” and product focused searches in the niche? We prefer to write a mix of product focused articles and tutorials for our content. The task explained in your tutorials should be simple enough that people would want to do it themselves, but just complicated enough to require a tutorial. In some niches this could also set you up to upsell your audience on a course or consulting service. Now that you have chosen your niche, it is time to find some keyword/article topics that people are searching for. It is generally not a good idea to randomly write about a topic that you think people will search for, but rather to write about things that you know your audience is searching for. If you are new to SEO, or would like to rank without the costs associated with link building, we suggest that you go after long-tail keywords. If you do not know what long-tail keywords are, they are simply keywords that are multiple words long instead of just 1 or 2 words. These keywords will have less traffic than less wordy keywords in the niche, but they will also commonly be less competitive. For example, with this article, choosing to target: “How to Make Money with Amazon Affiliate Without a Website” instead of simple “How to Make Money with Amazon Affiliate” makes it much easier for us to rank. While there are some benefits to using your own website, there are many more that come along with publishing content on high authority sites like: Medium, LinkedIn, or YouTube (if you want to make video content). If you choose to do link building, it is much safer to do it on a high authority domain than it is on a new one. In fact, you can even do this at a level that may be considered spam on a regular website. Part of that being relatively high percentages of keyword related anchor text. Well known sites that host 3rd party content often get better click through rates due to brand recognition. This usually leads to higher rankings and more traffic. Many SEO’s or affiliate marketers will try to make niche blogs with subpar content, but this can lead to fighting an uphill battle. It is important, both for rankings and conversion rates, that your content is high in quality. When people are on your article, Google will use user engagement as a major ranking factor. That is why you want to make your content engaging, and at the same time provide users with a direct answer to what they are searching for. Also, keep in mind that you should be putting out a decent volume of content also. In general, the more keyword targeted and high quality articles you write, the higher your chances of getting more rankings, traffic, and commissions. If this or any other tactics in this guide sound difficult for you, and/or you would rather outsource the work, consider ordering our done for you content marketing service. When doing on page SEO we recommend using a tool like ours found at the this URL. It will backwards engineer the pages that are already ranking, and give you suggestions that you can use for your page. Getting referral traffic and social signals to an article can help it rank both faster and higher in search engines, not to mention that you may get some conversions just from the social promotion itself. 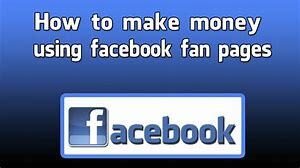 We suggest running a small Facebook ad budget with your content to a niche related audience. You can also post the article in Facebook groups or on forums like Reddit. Usually we find that articles published on high powered domains like LinkedIn tend to take about 3–4 months to settle in Google, so just allow them to sit for a bit. In many cases if you properly did your keyword research, content writing, and published on a high authority domain, you should be ranking high already. If you are ranking on the second or third page after 4 months of being indexed on a high authority domain, it is time for link building. These links include social profiles, citations, video submissions, audio submissions, etc. They should give you a small boost in the search engines, but their main purpose is to provide a link and anchor text foundation for the links that we mention below. We suggest using all naked urls and generic anchor text for these links, and using this service to do it for you. These work great when ranking parasite pages. A service like Hatred’s PBN links can get you ranking on it’s own. Assuming you have created a link foundation already with un-optimized anchor text, we suggest that you use keyword related anchor text for at least 40% of the high quality PBN links you buy. These can add a great additional boost and can be purchased here. We suggest using only about 10% keyword related anchor text on these links, and the rest naked URLs and generic anchor text. The effectiveness of a guest post will vary greatly based upon the quality of the website and content used on the guest post. We suggest getting handwritten content for these guest posts and confirm the website you are posting on has real search rankings by plugging it into a tool like Ahrefs. The reason we marked this step as optional is because it is fully possible to have a profitable blog without it, but it can expand your revenue if you choose to do it. Keep in mind though that because this article is about how to do rank without a website, getting people to opt-in to email lists or setting up remarketing pixels may not be possible on some content publishing platforms. Instead, we suggest that you link people to a landing page you set up or at least to a free optin form from a site like Survey Monkey. Once you have their contact information you can use an autoresponder like AWeber to send them emails on a drip-feed sequence. There are a wide variety of ways that you can utilize an email list. For example, you can inform your list about when you publish new articles. By bringing traffic and engagement to these articles they can improve the rankings and possibly get you some conversions. This works in a similar way to social media promotion. That’s it! Simply rinse and repeat and as long as you’re getting rankings and traffic, you should start to see conversions. 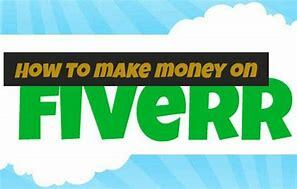 While a website has its’ benefits, it is quite possible to make money without one. Have you given these methods a try?